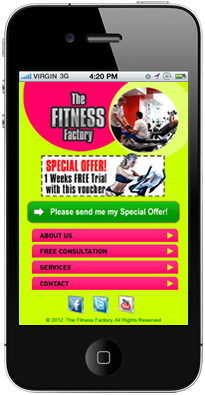 Our Mobile Marketing Website Templates are specifically designed to convert mobile visitors to your web site into valued customers, enabling you to take full advantage of the EXPLOSION in mobile traffic and grow Your Business...Mobile Marketing is the future and it's here NOW so it's essential to mobilize Your Business TODAY! 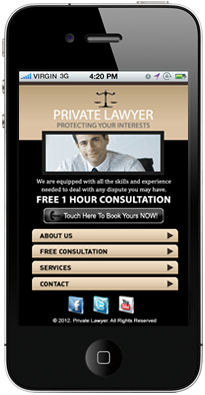 Haven't got a Mobilized web site yet? No problem! 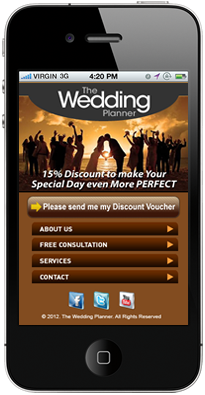 We can set one up as your primary Mobile Marketing Website. If you don't see your business model listed below as a demo, don't worry. We will build a custom site just right to fit your business. The key is to get started NOW and we will do the rest with you. 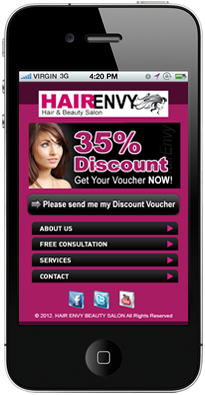 Click on any image below to view our live online demos and review the product features list. 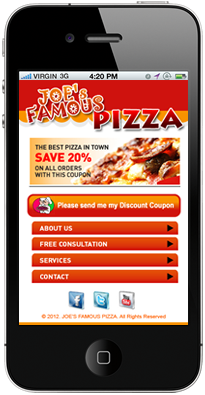 FREE REPORT Here -> " Mobile Websites For Local Businesses "
You were able to get their interest. 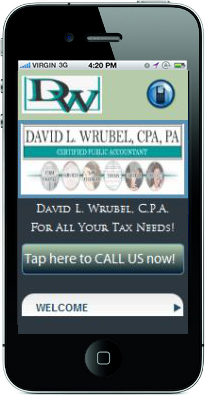 Isn't it time to keep their interest and have them contact you? You are in the right place by visiting here. You can get this done. 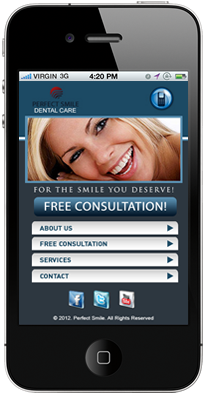 We are mobile experts. 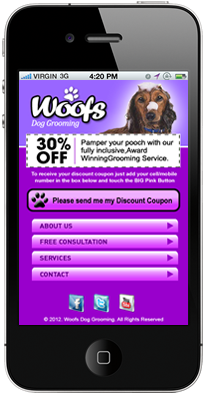 If you haven’t got a mobilized version of your website, then the cold hard truth is they will probably just give up and leave rather than having to zoom in and out, scroll up, down, left and right to get the information they’re looking for. It just isn’t a good experience and its definitely NOT good for your business! Ask yourself an easy question. Would you go through all the hoops and jumps if you didn't have to when you want information on a service or a product? It can be frustrating. Well, YOUR website visitors feel that pain too. 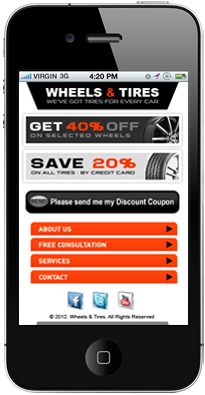 You may have the best option available BUT other competitiors have this information mobile optimized [easily viewable on a mobile device]. If YOU do not, your customers will leave and go to a competitor simply because they need the information easily and NOW. They are wanting to contact you NOW - not later. 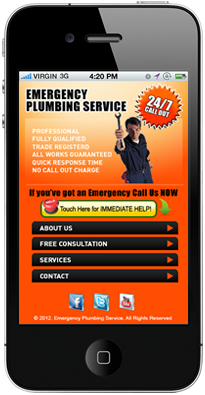 If you do have a mobilized version of your website, where are the calls to action or contact details for your business located? Probably not where they need to be which is on the very FIRST PAGE THEY SEE! Many visitors would just like to call first to see if you are really there. They already have a phone in hand. Why not just let them contact you easily? 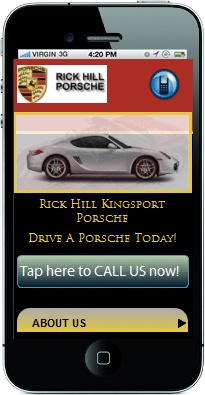 It is clearly known that mobile visitors are buyers. They buy more services and products than standard computer website visitors. Why not capture the interest of both visitors? You really have prospective customers waiting in line to do business with you and may not even know it. Why isn't someone letting you know this? Well, WE are but we can't make what is a good business decision for you but we certainly can provide solid information to you for you to make a good business decision. This is not a sales decision. This is a solid foundational Business decision where increased sales will result.